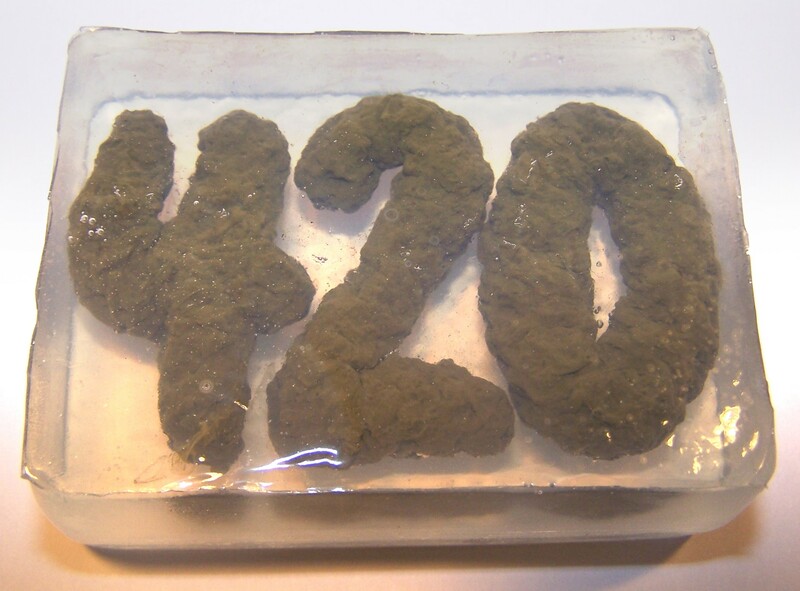 This 420-themed decorative soap makes a great gifts for your 420 friends. The insert inside the scented clear soaps was sculpted & textured to look like a real marijuana buds in the shape of the numbers. Using pigments, we color white soap base, melt it into a liquid, & carefully fill the molds. After the soap cools, we remove the soap replicas from the molds. Then, we layer melted clear soap base into bar molds & orient the soap replicas within the mold. Next, we carefully fill the mold and wait for them to completely cool down. Finally, we wrap the completed soaps and add cover art. 100% hand-made in Los Angeles, CA, USA.